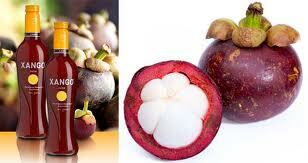 Mangosteen, the Super Fruit in Costa Rica! It’s not just a Mango, it’s even better!! This incredible super fruit is commonly referred to as the “Queen of Fruits” and is one of Costa Rica’s most prized super fruits (when you can find it), it’s the Mangosteen! Traditionally, Mangosteen fruits have been used for thousands of years in folk and traditional medicine to help support healthy inflammatory processes and digestive health converting this rare fruit to the new darling of the super fruit world. 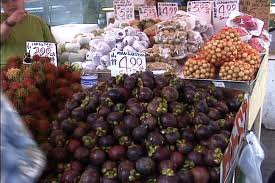 For those not familiar with it, Mangosteen fruits have a deep purple rind and soft white flesh seed pods inside. The fruit tastes deliciously sweet like a cross between a mild peach and a sweet strawberry and it is easily one of the most delicious super fruits in the World. Add the fact that Mangosteen is packed with nutrients that provide plenty of healthy benefits and you have the best of all fruit worlds! What makes Mangosteen so potent as a super fruit? It’s loaded with xanthones—powerful antioxidants that help fight free radicals. In fact, of the 200 xanthone compounds known, the Mangosteen contains over 40, and these xanthones are found in the dark purple outer rind (pericarp). That’s more xanthones than any other fruit in the world! 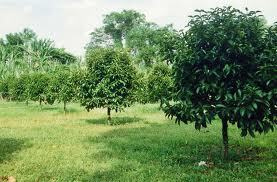 Mangosteen production can be challenging though and these trees need optimal growing conditions to survive. Warm, humid weather, combined with plenty of rainfall to thrive seem to make many parts of Costa Rica the perfect setting to grow this fabulous fruit, but definitely limits it’s ability to become cultivated worldwide. 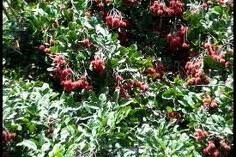 Gardeners will need patience as well should they want to add this tree to their home garden, as the fruits grow slowly on tall evergreen trees that can reach up to 80 feet. The fruit is delicate and must be picked as close as possible to the time of ripeness to get the maximum amount of xanthones, so this can require a constant vigilance on the growers part. This means the fruit is generally only be picked around twice a year, and with the height of some of the trees, it can be quite the challenge to harvest! The Mangosteen, which carries a botanical name of Garcinia mangostana is a tropical plant indigenous to Southeast Asian countries and the Malay Archipelago. 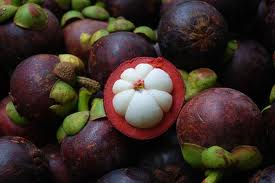 Many believed that the unique and exquisite flavor of Mangosteen fruit had delighted the Queen of England so much that she called it the “Queen of Fruits”, thus the origin of that nickname, though historical references to the actual truth of this story are limited and difficult to substantiate. The Mangosteen tree can be hard to recognize, as it typically grows between 20 and 80 feet tall, featuring dark-brown, flaking bark. The leaves of the Mangosteen are elliptic, thick and leathery, deep-green, fairly glossy on top and yellowish-green beneath. The flowers of the Mangosteen are 1.5 to 2 inches wide. The pericarp of ripe Mangosteen is dark reddish purple in color and is the most obvious identifying characteristic of this mostly non-descript tree. 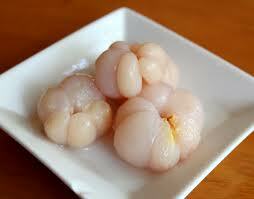 The aromatic inner flesh is a creamy texture and quite sweet and it definitely easy to recognize once tasted. Since the pericarp of Mangosteen consists of numerous compounds, it is the part most regarded as containing beneficial antioxidant qualities. 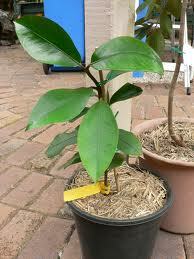 In clinical studies, Mangosteen has xanthones (see info above), which have anti-cancer effects. Some other health benefits include its antimicrobial, anti-inflammatory, antiseptic and antifungal properties. Additionally, this great fruit is very low in calories, has no cholesterol or saturated fats, and is bursting with fiber (13% of RDA in each 100 g) which is recommended in any daily diet for improved health. Mangosteens also contain high concentrates of vitamin C; supplying around 12% of RDA in each 100 g. Fruits full of vitamin C aid the body to build resistance to combat flu-like infectious agents and eliminate free radicals. Fresh Mangosteens also serve as an excellent source of B-complex vitamins like thiamin (vitamin B1), niacin (vitamin B3) and folates (vitamin B9). These vitamins function to help your body system to metabolize fats, proteins and carbohydrates. Lastly, these super fruits also have a high count of minerals such as potassium, magnesium and manganese. Potassium is an essential component that helps manage heartbeat and blood pressure; thereby helping in the fight to combate coronary heart disease and strokes. Not a bad record for a small fruit! When selecting this prized fruit, pick ones that appear to be in good shape on the exterior with little or no bruising. Bruised fruits will cause a more bitter taste on the inner seeds. Press the pericarp or shell of the Mangosteen and if you find the skin soft, the fruit is not fresh and you should choose another specimen. A firm outter shell of this fruit is the best sign of freshness. Little Tip: There is a simple trick to find out how many seeds are on the inside of this fruit. Turn the Mangosteen upside down. Count the number of the petals on the flower-like spot at the center of the fruit. The amount there is equal to the amount of pieces inside the fruit. How should one Store Mangosteens? Once you have located, bought (or picked) your Mangosteens, to get the most out of them, store these fruits at normal room temperature and consume within a couple of days, as they do not keep well for long. These fruits do not freeze either, so again it is advised to eat them while still fresh for the best super fruit experience! Would you care to learn a little of the Science? Some distinct traits of the Mangosteen play a major role in limiting the extent to which these fruits have been planted around the globe, and that is why you do not find them at every farmer’s market, supermarket, or in large plantations around the world. First and foremost, the seeds of the Mangosteen are considered “recalcitrant.” This means that they are very short-lived and must be kept moist or they die quite easily destroying the tree. Mangosteen seeds with much care, can be kept alive in moist peat moss for weeks, enabling them to be shipped to distant locations, though the timing has to be correct, or they can begin to sprout to early losing chance for viability. Mangosteen trees are dioecious, meaning that there are male trees and female trees, though there are very few male trees that have been identified anywhere in the world so if they exist, they are definitely quite rare. This means the major burden to perpetuate the species is on the female tree. No males means no pollen, so even though the female flower contains rudimentary sterile anthers where pollen would normally be found, without pollen, there is no way to fertilize to create seeds with the true genetic traits. Instead, the female Mangosteen trees are forced to perpetuate the species by apomixis which results in effectively an asexually produced seed. This means it actually produces a clone of the mother tree each time a seed successfully propogates. How does one best eat a Mangosteen? The Mangosteen has a soft white edible center that is similar in construction to the sections of an orange, with possibly one hard seed in each of the larger segments. The smaller segments are seedless and seem to melt in your mouth, releasing a delicious juice that is a perfect balance of acids and sugars. The rind, or pericarp, is about 4 to 6 mm thick (1/4″ or more) and when freshly harvested is pleasantly soft. 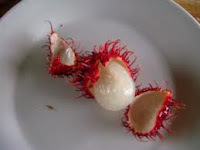 The fruit at that time can be opened by squeezing until the rind splits, exposing the edible segments inside, but the outter casing of the fruit is not eaten. Several days after harvesting this fruit fresh from the tree, the skin begins to harden as it loses water and dries. At that point, the use of a knife is quite helpful to open the fruit. A shallow cut around the circumference of the fruit while trying to avoid cutting into the soft interior allows the fruit to then be twisted and opened along the cut. The seeds can then be gently scooped out and eaten. They can be very slippery, so be ready! The slices with an extra brown internal seed which is somewhat soft, should not be eaten as they are generally bitter in taste. The Mangosteen is generally left at room temperature for several days as the rind will protect the interior from too much moisture loss, however I have personally found it better to place the Mangosteen in a refrigerator in a partially closed plastic bag to slow down the moisture loss. 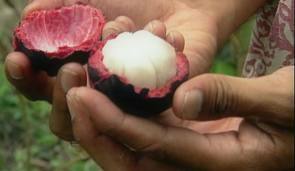 When a Mangosteen is very fresh, the seeds are almost pure white inside. As the rind hardens the seeds start to turn slightly brown inside and this helps provide an idea of how long the fruit has been picked. Some fruits will stay at room temperature for a week without any significant loss of quality. However, I have always found that the sooner you eat them the better, so why wait…..go for it!! Should I start eating this Super Fruit Now? Work done to date shows that some chemicals in the rind of the Mangosteen may show some benefits against breast cancer, leukemia, pathogenic bacteria, colon cancer and so on… in test tube-maintained cancer cell lines and in rats. There have been no substantiated humen tests, so unless you are a rat, this may not be the cure all you are seeking at this point. There are very promising hints of possible benefits down the road though, unfortunately that road has not been traveled far enough quite yet. Some additional Ancient Medicinal Uses? The sliced and dried fruits and rind are ground into a powder and administered to overcome dysentery, diarrhea, gonorrhea and cystitis. When made into an ointment, it is applied on eczema and other skin disorders as an astringent lotion. Another popular Chinese medicinal prep is to steep a portion of the rind in water overnight and the infusion given as a remedy for chronic diarrhea in adults and children. None of these treatments have been scientifically proven, so please use them at your own risk! So make a point of searching out this super fruit on your next trip to the local farmers market and treat yourself to a new healthy surprise! If you can get enough, consider making some of your own recipes or maybe this yummy jam listed below! Now that is Pura Vida living!! “Mamon Chino”, A Healthy Sweet Costa Rican Treat! The results of this study were extremely helpful in furthering the development of this tropical fruit to be competitive in an international market. As the Ministerio de Agricultura (MAG) began a program to distribute some 40,000 tree starts to farmers, their enthusiasm, pioneer attitude and excellent farming practices, helped to dramatically increase overall production by a whopping 20% in only 6 yrs. This impressive number converted Costa Rica to be the top producer of Mamon Chino in all of Central America. 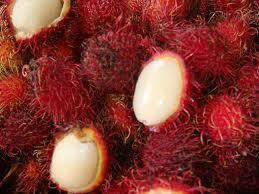 Costa Rica now exports an incredible 1800 tons of this delicious fruit yearly. 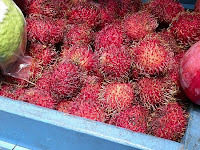 So my friends, the next time you see these hairy little fruits at your Costa Rica Hotel, the local Farmer’s Market, local “Pulperia” (market), or a roadside fruit stand…… Stop! Buy!! Eat!! Don’t be afraid of them!!! Not only are these tropical delights delicious and convenient to snack on, but they also have specific nutritional qualities, as well as ancient medicinal uses that might come in handy one day. Just please remember no yelling “I want Mamones!” while in Costa Rica when you go shopping, or you might end up with a black eye!! “Mamon Chino” in Costa Rica. Have you tried this exotic fruit yet?